Grey Glass Bottle Vase - Decorative bud vase in smoked grey with cut glass effect for modern, contemporary style home decors. 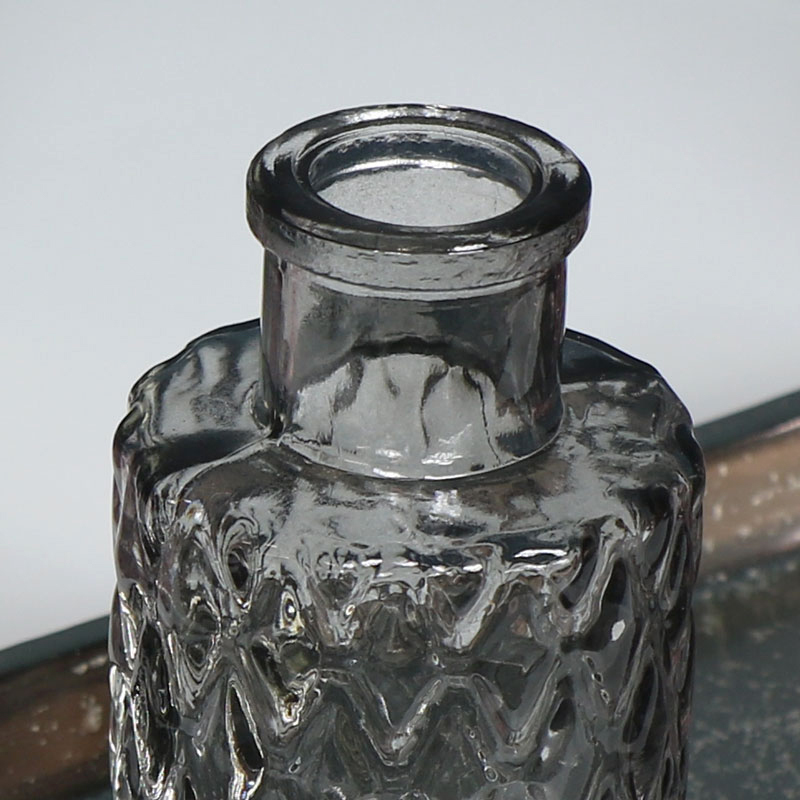 Cut glass dimpled effect Grey Glass Bottle Vase, perfect for holding single stem flowers or just for pretty decoration. A simple and stylish way to add that something extra to your interior decor. Also available in more colours and shapes. Grey Glass Bottle Vase - Decorative bud vase in smoked grey with cut glass effect for modern, contemporary style home decors. 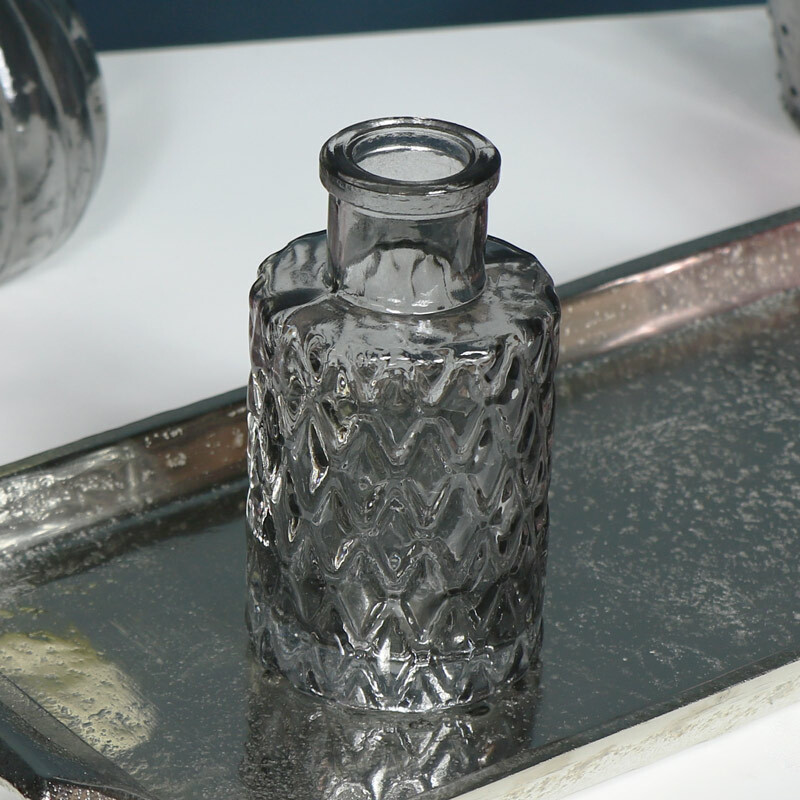 Cut glass dimpled effect Grey Glass Bottle Vase, perfect for holding single stem flowers or just for pretty decoration. A simple and stylish way to add that something extra to your interior decor. Also available in more colours and shapes. Made from glass in a smoked grey with dimpled, cut glass detailing.